At DWP, we are moving towards designing a better user experience by joining up our products together with the services that people experience. 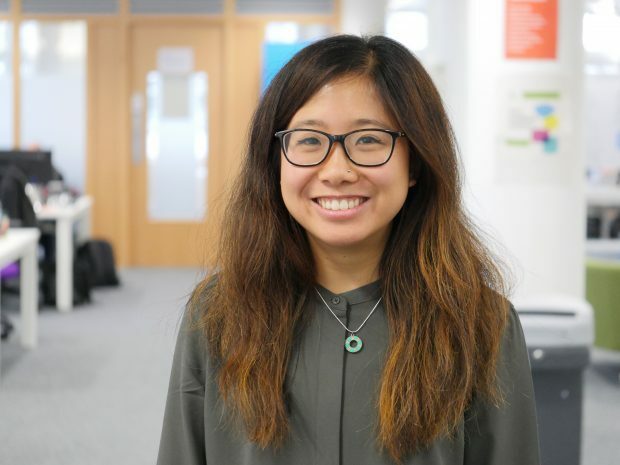 It's really important for everyone at DWP Digital to be aware of service design no matter what role they do, so amongst our team of service designers, we've tried a few things to help us build a community that other people can also tap into. So how have we started building this momentum within our organisation? Every quarter, the service designers at DWP get together to organise the service design community day. We bring together everyone who is interested in service design together. We’ve had policy and strategy colleagues, designers, user researchers and enterprise architects join us to learn more about how we each contribute to service design. The last one was held in early February at ODI Leeds, which we also co-hosted with the Government Digital Service (GDS). The theme of the event was ‘policy and service design.’ We had 45 people attend from across different government departments including NHS Digital, Home Office and Department for Environment, Food and Rural Affairs. The day included a workshop on service mapping, a presentation about service communities, a policy lifecycle workshop and two deep dive talks. The first deep dive talk was presented by James Johnson (from Policy exploration) and myself about the work we’ve been doing together with the policy exploration team such as the policy design challenge we piloted. Then we had Meera Pankhania, Head of Service Design from Australia’s Digital Transformation Agency, share her honest experiences with engaging and working with policy in the Australian government around identity. The event left us all buzzing. We felt more connected to the people around the room as we are all doing our best to design better services for our users. Our next service design community day will be held in Manchester on 18th May. If you work at DWP and are interested in service design, get in touch with me by leaving a comment below and we’ll forward you a calendar invite. We have started up a monthly service design lunch and learn on a Tuesday in Leeds to provide a monthly one-hour dose of service design. Topics so far have included 'What is service design?' (an introduction to service design) and 'Improving our learning and development experience' (a kick-off workshop workshop to improve how we access training). These informal sessions are useful for people within the community to build their knowledge but also for people we collaborate with who have an interest in service design to learn how it can be applied in practice. We’ve also been working hard to bring GDS’ introduction to service design training to Leeds. The training is very hands-on and full of activities to learn more about service design and what service designers do. We are excited to be hosting the first one-day training outside of GDS in Leeds on 1st May 2018. 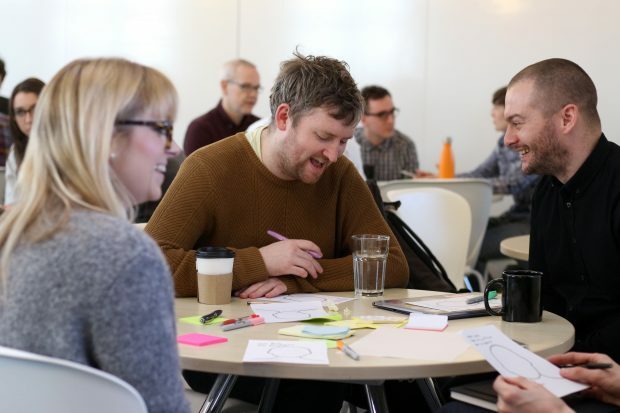 Building a service design community at DWP has been important to help connect us and the products and services we create better together. The community days, lunch and learns and training have really helped with this so far, but we've still got more to do. We'll keep you updated on how we get on! Hi Marie, sign-me-up please !! Can I register / ask for an invite for May 18th please ? I'd be interested in attending the Manchester event on 18th May. Hello Marie, great blog. I have an interest in Service Design. I am also interested in attending.